https://www.handdy.com/accounts/ click here The roumers of the Michelin Guide Bangkok 2017 entry have been swirling among food bloggers and foodies since last summer. The Tourism Authority of Thailand and the Michelin Guide confirmed the news a few days ago. The entry into the city of angels is welcoming news, but not a surprise. The red guide will be out before the end of the year. The launch marks the start of a 5-year project between the Michelin group and the Tourism Authority of Thailand (TAT). The guide will cover the complete food scene and a panel of inspectors will handpick star-worthy restaurants and give recognition to those deserve it, from top-end establishments to street hawkers. The center of the attention will hopefully be authentic Thai tastes. So, why did it took so long? We can only speculate, but 10 -12 years ago it was street food vending holding the Thai flag. In 2017, Bangkok have some high end restaurants on a possible red list as well, not neccessary for a star, but for some kind of a nod. Not to mention that the quality of the ingredients is given more focus today than a decade ago. The anonymous and independent inspectors will use the following five criteria: (1) quality of ingredients (2) mastery of cooking method (3) chef personality (4) value for money and, (5) consistency. Quite a few street food vendors are mentioned below, either for a star or for a nod, but first the high end spots. To give Gaggan a star (and some will even defend two stars) will not be a surprise. The molecular restaurant headed by chef Gaggan Anand shows an impressive energy to innovate and push boundaries. It is best described by Indian flavors in new formats. To give some of the other high end restaurants two stars will on the other hand be a rather big surprise. My last visit to Nahm included some good food and absolutely excellent service (that doesn’t count), but most of the dishes wasn’t really star material, except for the Waygu curry. 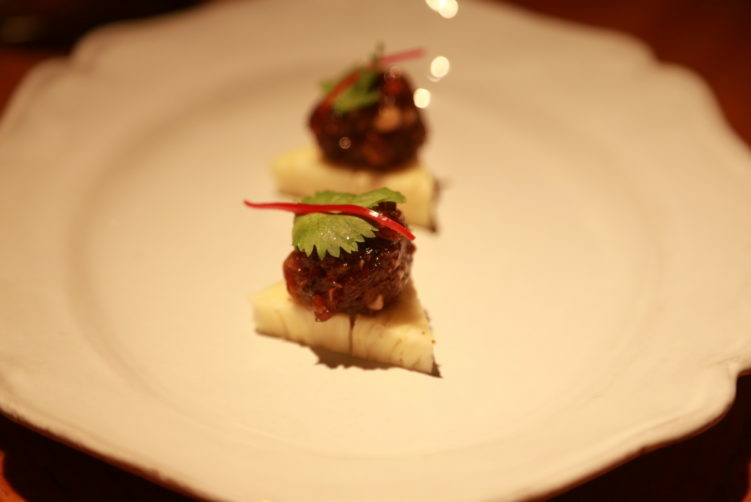 Most of us agree that the Australian Chef David Thommson deserves a lot of credit for what he has done over the years to put light on traditional Thai food and the menu at Nahm really spans Thailand from south to north. That said, I know tons of street food vendors offering a more tasty experience than what you will find on the white linen in the facilities of the COMO Metropolitan, but again, that’s a different concept from a to z. But honestly, I have also been to quite a number of one-star Michelin restaurants in Paris and Brussels that doesn’t even come close to what Nahm present on their plates and bowls. The guide say they are not biased towards French food, but the French guide is really in need of an overhaul to take that statement seriously. But Nahm is Thai food in Thailand, and taste wise, it’s difficult to not compere it with the streets. Honestly, quite a few street food vendors in Bangkok only see Nahm in the front mirror. On the other hand, I have friends saying Nahm have improved the last few months. Nothing would be better than that as Bangkok really needs a Michelin star Thai food restaurant in the high end segment. In other words, Mr. Thommson will most likely get his star. L’Atelier de Joel Robuchon is good french food to a rather stiff price. They might of course get a star, especially since the red guide seems to give them one wherever they are. Bo.Lan deserved a star a couple of years ago, but the level has been very incoherent on my last two visits. They still serve beautiful food, sometimes very tasty, but they come short on consistency. Some people have a bet on Suhring with a smart mixture of excellent interpretation of German traditional recipes, never falling into the trap of being too pretentious. It could very well be a star coming, but personally I find Suhring an expensive experience and the portions are really too small when ordering the “tasting” menu. I actually had to do some street food shopping after my visit. Eat Me is probably too expensive to get a BiB Gourmand, but it depends of course were they draw the price line. I would expect it to be somewhere around 1200 Bath. There is another Thai food establishment on the San Pellegrino list above, except for Nahm, but I don’t see Issaya Siamese Club holding a star. By all means, they serve good food and they have nice presentations, but taste wise, the food is too blend and not very authentic either as they try to cater the western crowd. Issaya Siamese Club is probably more in line for the BIB Gorumand. That said, you have tons of street food vendors selling one or two dishes on a daily basis that tops most of what is served at Issaya Siamese Club. Le Du will not get a star, but most likely the BIB Gourmand. I’m in more doubt when it comes to The Dining Room, as it is to variable in the quality of what you find on the plate, also due to being a bit to pretentious in their experimentation. The price will most likely deny them a BIB Gourmand. And of course, the red guide will send some credit to establishment not on the San Pellegrino list above. Let me also mention Tim How Wan as they have a star in Hong Kong, but I’m pretty sure the Michelin Guide Bangkok will rest their case for the branch in the city of angels, serving mediocre food at it’s best. In Hong Kong Tim Ho Wan is street food, but in Bangkok it is a food court setting with a mid-level pricing. But even mentioning them would be a sensation. In some kind of a mid segment Krua Apsorn could get a nod. It’s a safe visit for all those tourists coming to Bangkok, serving non spicy food footed in the Central Thailand region. 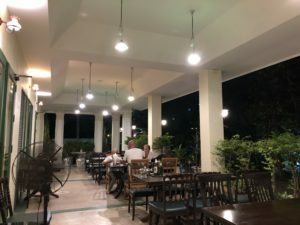 It’s also only a 15 minute walk from Khao San Road, giving the backpackers and others in the area a near by option for authentic and tasty Thai food. Jin Chieng Seng, situated in the hotel Inn A Day and close to Wat Pho will also get a nod. So what happens when we’re moving on to the street food scene, the hawkers and hole in the walls? I’m for sure a bit excited on how they will handle it. Well, I’m pretty sure you won’t pick up any Michelin star food from Khao San Road, but you have plenty of other areas and districts with vendors serving absolute addictive and delicious plates and bowls. The Michelin guide doesn’t have an easy job in navigating the Bangkok street food scene, but that’s what they have to do, even if we can’t expect a full span on year one. But we need to see a direction. First thing first. There is a myth that service is part of the evaluation. Well that’s wrong, and this is an important aspect when moving to the street food scene where the service can be a bit slow and brisk. The Restaurant inspectors do not look at interior decor, table setting, or service quality in awarding stars – these are instead indicated by the number of ‘covers’ it receives, represented by the fork and spoon symbol. 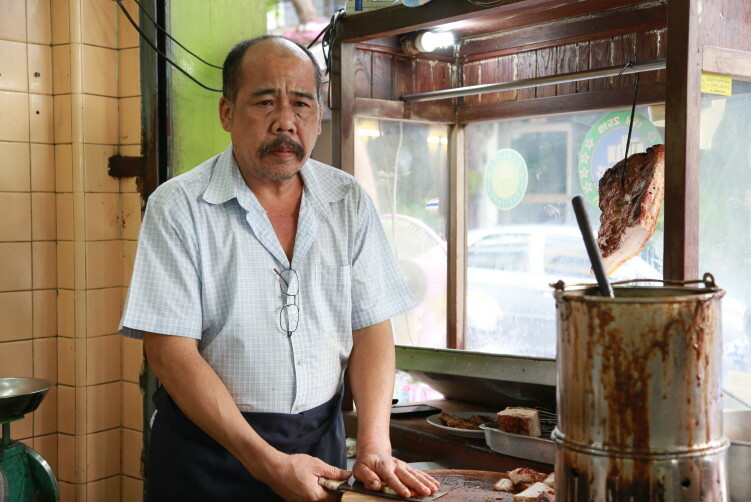 The value for money aspect is not an issue for street food vendors, not even for Jay Fai. Neither is the general mastery of cooking method an issue. Consistency and quality of the ingredients can on the other hand be a challenging one. Not that the more high end and expensive restaurants with a star or two in their pocket never fail on consistency, because they do sometimes, but the street food vendors turn out an incredible number of plates and bowls every day, so of course, error occurs probably more often. But we also have to remember that the inspectors do several visits to the establishment. Personally, with a view on the hectic traffic, sitting on a far to low plastic chair, sometimes sweating, I’m searching tastes and the quality of the food. Thats it. The chef personality criteria includes issues such as the talent of the chef and the team, in other words not an easy criteria to use on street food vending as the best vendors have served the same excellent dish(es) for 40 or even 90 years. Being concrete on who deserves a star or a nod and what to award is of course a guess game, but I happily jump into that game with some names and examples. A paper or blogg that doesn’t dear should probably stop writing about the Bangkok street food scene. It would be a crime not to recognize (Raan) Jay Fai at 327 Maha Chai road. The 73 year old grandmother has been called the Mozart of wok and many other credible names to explain her true quality. 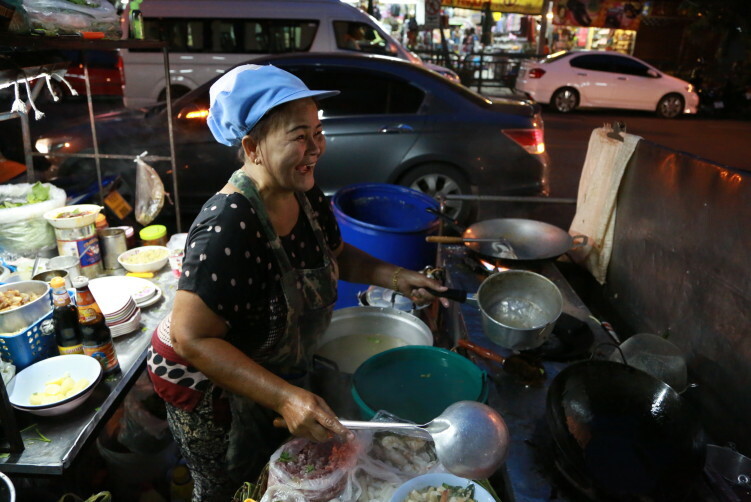 She has more than anybody else become the symbol and example of high quality street food in Bangkok and Thailand. The prices at Jay Fai are horrendously high for street food, with prices starting at around 400 Bath a dish. That said, nobody can discredit her the qualities when it comes to put forward some absolutely fantastic taste experiences with fresh ingredients, even if she has a small miss here and there. Watching her turning the two wok’s are true entertainment for anybody who want to brand themselves as a foodie. Will the Michelin Guide consider a recommendation in the direction of one of the many pad thai vendors, as many consider it a national dish of Thailand? I’m fully aware that Chef McDang are of the opinion that Pad Thai is all Chinese due to ingredients and technique and that Thai’s are rice people. I just don’t buy his arguments. It’s like saying all chicken or beef dishes made in an oven are from the country that first took use of an oven and that Swedish people are potato people, or that all dishes using eggs are Portuguese. It’s many ways to make something new by introducing well known ingredients or even minor changes in methods to what is the going rate somewhere else on the planet. Luckily I could add. Not everything is Indian just because the use of dried spices. Si Morakot close to Hua Lamphong station. See more info below. That said, Thai’s in general are not huge fans of Pad Thai. It’s mostly a tourist addiction, and personally I normally dive into the long list of more interesting dishes. Pad Thai is a good dish, but I don’t run down the streets for it. I would be surprised if some of them get a star, but I would like to see a respectful nod. Thip Samai, clearly the most known vendor, serve you a very good plate and have a a convenient indoor seating, but it is certainly not the best Pad Thai in town. I find Orawan in Ratchawat, a street side hawker without all the fancy choices of Pad Thai that you find at Thip Samai, a notch better due to their fantastic tamarind mixture. Also Leung Pha Pad Thai next door is a notch better, even if some inconsistency have been reported. Anyway, all of them turns out good plates as long as you stay away from the egg wrapped version that takes the bite away from the noodles as they’re locked in with all the damp and heat. Talking about Pad Thai, the condiments on the table are there to be used for a final personal touch, including a scope of the roasted chili. This is of course a difficult aspect of the evaluation the Michelin crewe will have to do, but I presume they have instructions on how to handle that. I have rarely in my fifteen years of eating my way throught the streets of Bangkok experienced a perfect plate of Pad Thai or a perfect noodle soup without having to use the condiments on the table. Let’s hope the Michelin guide hands out some info on how they look at this aspect. Hoy Tod or oyster (mussels) omelette deserves more attention, but I don’t expect the red guide to look in that direction for more than some nods. 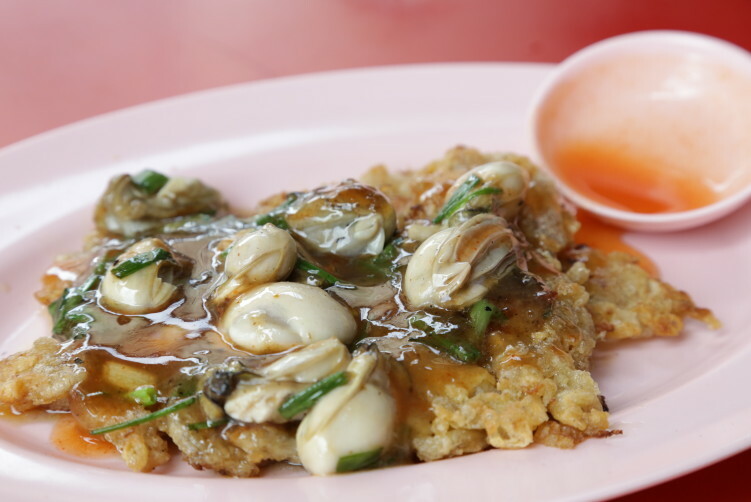 That said, there are a few good spots in Bangkok, like Nai Mong Hoy Tod in chinatown and Thip Hoi Tod Phu-Khao Fai (volcanic fried mussels) in the Bang Rak area. Hoy Tod Chao Lay in the beginning of Soi Thong Lor (Sukhumvit soi 55) is good, but not as good as the two above. By the way, when it comes to noodles in the Bang Rak area, Lim Lim Yuu Hong is serving some of the best noodles in town, excellent in combination with braised chicken legs and could be a in for a surprise. Talking about noodles, Rungreuang in Soi 26 has a dam good bowl with home made noodles together with grounded poor, fish balls and liver. Not to forget Jakkee close to Victory Monument. Is it possible for the Michelin inspectors to turn their eyes away from a bowl of boat noodles, an authentic dish of the former Bangkok, when the canals were the main transport vain in Bangkok? I have been searching these bowls all over the city, only written about a few of them, but I have never discovered any better version than the fantastic bowls served at Doi Kuay Tiao Neua close to Victory Monument. If we move on to beef noodles, my personal favorite is Nai Soi at 100/2-3 Phra Arthit Road with more than 40 years of reputation to protect. Wattana Panich at 336 Ekkamai 18 Alley is also good, but not for those not liking cinnamon. One of my absolute favorite hawker Chef’s out there, serving whatever you want as long as she has the ingredients – a few doors from Rawanstar in the Ratchawat area. I don’t have the name as no English is spoken, but this is star material. 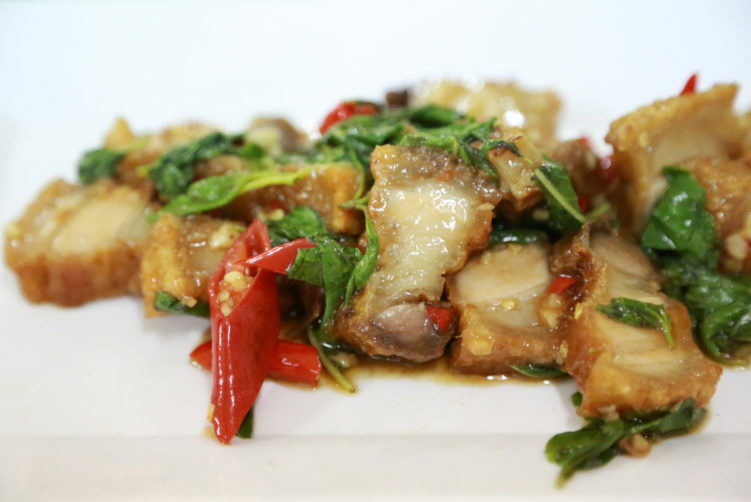 Quite a few of the street side dishes have strong Chinese influences or is Chinese dishes with a Thai touch to it. 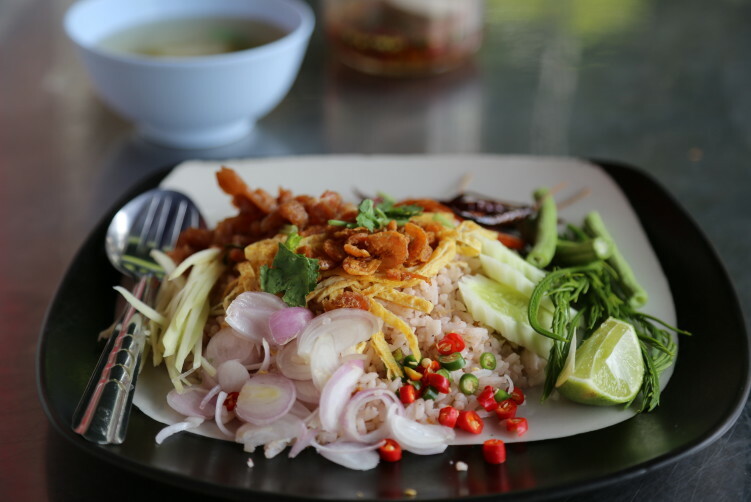 Khao Kha Moo is one of those dishes and the best in town is to be found at Charoen Saeng Silom in Charoen Krung Soi 49. You have to be there well before 11:30 AM to be sure to get something, but it really is worth it. And I would be surprised if they are left out of the Michelin Guide. I also consider Guaythiew Pik Gai Sai Nampung (also named Guaythiew Pik Gai Nam Pung/Nampheung) at 392/20 Sukhumvit a must for the Michelin Guide if they really are in Bangkok to hit the streets. 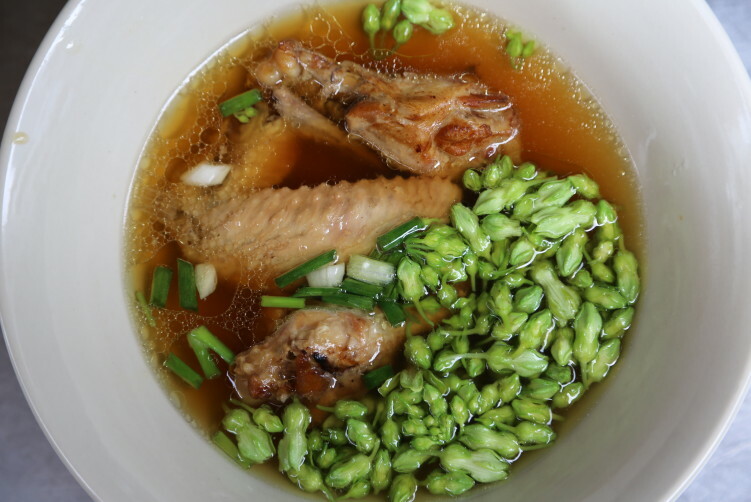 Absolutely delicious chicken wing/drumstick soup with cowslip flowers and also a wonderful Yen Ta Fo. There will of course be mention of quite a number of street food vendors situated in Chinatown – it would be rather meaningless not to, and I’m just scratching the surface here. The big question is of course where they will point in year one of the guide. I have mentioned Nai Mong Hoi Tod above, and they will of course be in the guide at some level. One or more of the very Chinese Kuay Jab vendors will be in the guide as well, even if the inspectors probably doesn’t have a too good overview of the quality served in China, for comparison. That said, we are in Chinatown. Uan Pochana, in front of the old teacher along Yaowarat road could be a bet. Nai Ek further down the road is very good, but have to many other dishes that isn’t at the same level. Nai Lek at the entrance to Soi 11 is also a very good hawker in that respect. Som Sii who runs one of the corner stalls at the Vietnamese Sunday Morning Market, furthest away from the church (Samsen road Soi 11-13) serves a lovely portion of Kuay Jab Yuan, a vietnamese version with pork. Not the clear broth you normally get with noodles, but one with an almost milky like consistence. 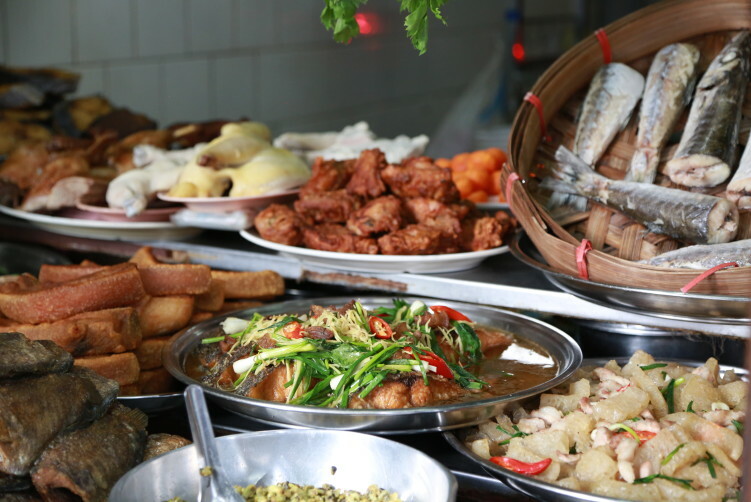 One of Chinatowns better hawkers is Guaythiew Lod (or guay tiew lord), to be found close to the design hotel Shanghai Mansion on Yaowarat Road. They have a very good fish maw soup, but stuffed flat noodles with pork is the dish to choose if you only have room for one dish. I hope the red guide give a well deserved credit to Guaythiew Lod, making it possible for this very good street side hawker to continue their service, even if they hinder the walkers to some extent. If is not so easy to just move a stall, as people doesn’t pay attention to those things. 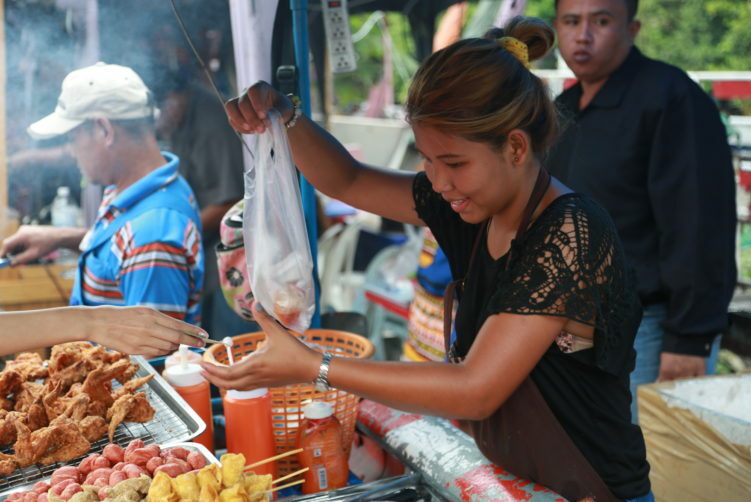 The guide can really do something to protect the street food heritage of Bangkok, having the recent confusion around banning street food in Bangkok fresh in mind. 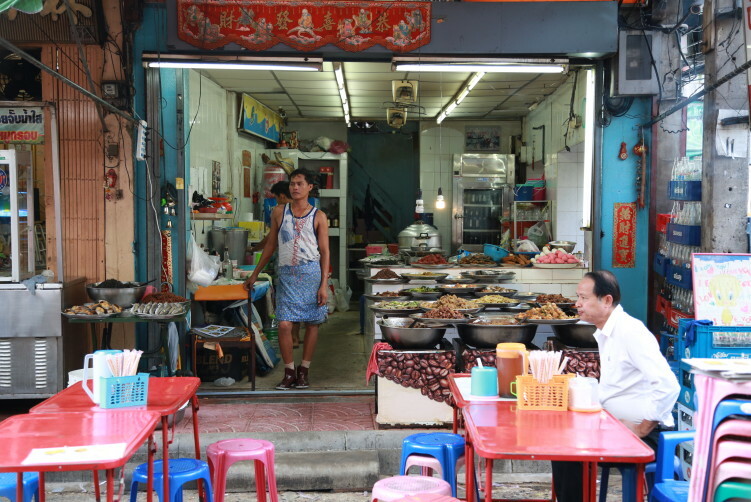 Chong Kee and Si Morakot in the outskirt of Chinatown are excellent long time servants of high quality street food for dishes like pork satay or Khao Moo Daeng/Krob. Chong Kee in Bangkok is for example way better than 168 CMY Satay in Singapore. 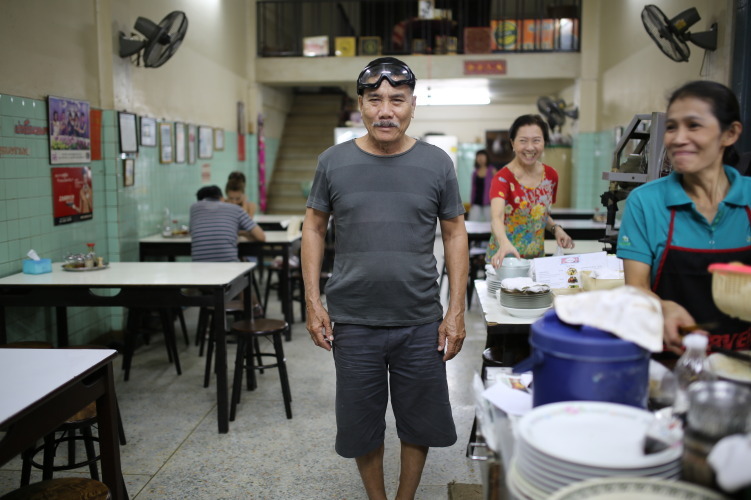 Piang Kee will most likely be mentioned as they serve quite a few delicious Hakka dishes. Somsong Pochana and their excellent food, authentic and some of the dishes also hard to find these days, will of course not be forgotten. They are situated close to Phra Sumen Fort. Khao Tom Jay Suay serves traditional food. One of the best khao tom. I’m of course truly curious when it comes to dishes like Tom Yam Kung, Som Tam, Pad Ka Prao and a couple of the other more authentic Thai plates. Will they go for the purist version of Pad Ka Prao, only using fish sauce, or will they go for those (also) using oyster sauce. Personally I’m a purist in that respect. We will know that in December. There is no doubt that the culinary capital of street food deserves some serious attention to the many great street food performances out there. I have only mentioned a few, only scratched the surface. That said, Singapore was left with two vendors when it comes to the stars. 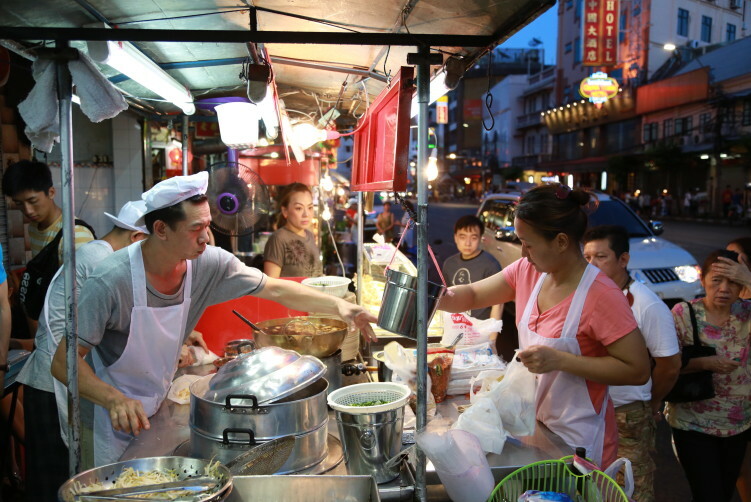 If the Singapore version of the red guide last year is a signal on how to read the Michelin Guide Bangkok food wise, you have at least 10-15 street food vendors that easily fits a star, but of course we all know it won’t happen. The guide will for sure come up with an extensive list of nods to street food vending and I presume the guide will include somewhere between 200 and 300 vendors. I also expect the guide to look at the Shell Shuan Shim awards in their search for the good stuff. 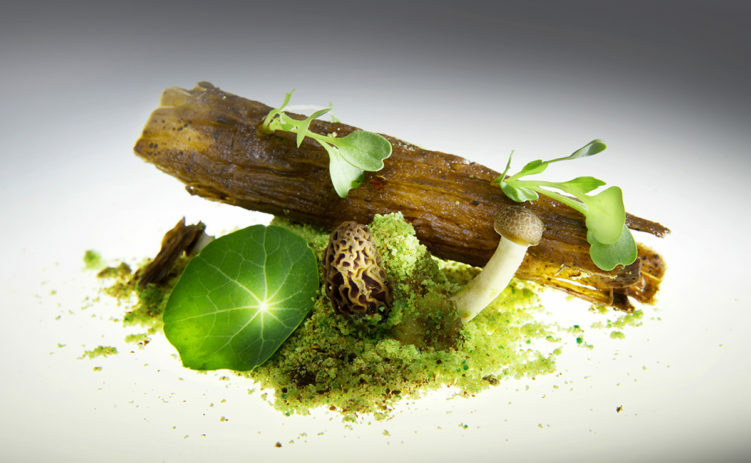 Thailand will be the second country in South East Asia and the fifth in Asia with a Michelin Guide presence. Japan (Tokyo, Kyoto-Osaka-Kobe), China (Hong Kong, Macau, Shanghai), Singapore and South Korea (Seoul) are the other countries. When the Michelin Guide cooperate with the Tourism Authority of Thailand (TAT), it goes without saying that the integrity of the guide and the inspectors has to be a prime focus. Food is more than just business and those that can afford adds in Banking Post or other papers, it’s culture and the heritage of a hole nation and should be treated as that. Yes, certainly better food elsewhere.